Lombard Avenue East is a short street between Main Street and Waterfront Drive. 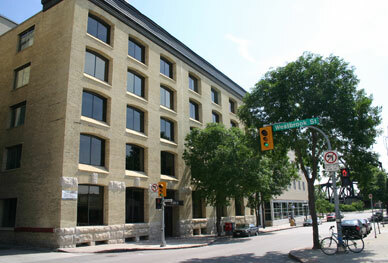 1 block north and 2 blocks east of Portage Avenue and Main Street. Just north of Canwest Global Park and The Forks. Metered parking is available on the street. Impark lots are located at Canwest Global Park and beside Brick's Fine Furniture.